IVCA Racing Masters and Standard Kit. I have just a few items of kit left. Looking to see if there is enough demand to warrant purchasing another batch. Please mail Phil at philormrod@hotmail.com if interested. Will seek updated price list if enough response. IVCA 10TT Rathcoffey Saturday Series Results 30/04/2016. 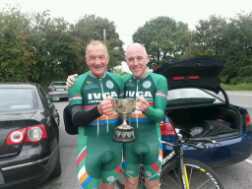 Previous story IVCA 10TT Rathcoffey Saturday Series Results 30/04/2016.